Lou has begun exploring the Neo Pagan faith, a dramatic shift from her wealthy Catholic upbringing. Despite her fears of being too “hocus pocusy”, Lou turns to her new faith as she struggles to unravel the mystery surrounding the death of Isobel Key. But faith or not, Lou must face her demons if she has any hope of righting the wrongs of the past. 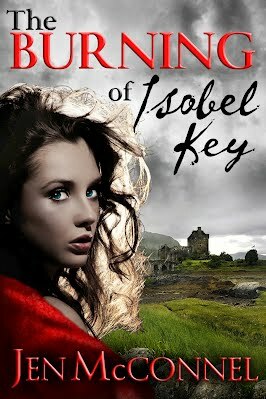 As the flames rose, Isobel stopped cursing and instead started to make a shrill, screaming whine, much like the sound of the sap boiling in the logs at her feet. It was so eerie, so utterly un-human that even the executioner, a man long seasoned to the sounds of death, wanted to cover his ears and sob into the skirt of the nearest woman. The sound carried from the village green, through the streets and wynds, penetrating the windows and doors shut tight against the execution. It was as if not attending could erase the sin of allowing it to happen in the first place. No one who heard that sound could reconcile it with the once melodious voice of the burning woman. The evil thing at the stake was not a woman they remembered or recognized. Their memories were as short as the day, from the morning after her terrible deeds were revealed and the witch was brought into town bound in the back of a pony cart. It was suddenly as if none of the villagers knew the poor creature at all. None could recall seeking her help, and none would avow that she had always been kind and ready to bake breads for town feasts or to watch the little ones play while their parents danced together. Kindness lingers less than murder, for it was obvious to all that the woman had murdered at least three souls, if not countless others. Justice was being served, and her blood would not stain the god fearing hands in St. Andrews. She was not their responsibility, and they wanted to take no claim for her evil. 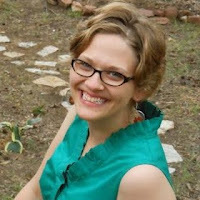 She is also an active reviewer for Voices of Youth Advocates (VOYA), and proud member of SCBWI, NCWN, and SCWW. A Michigander by birth, she now lives and writes in the beautiful state of North Carolina. When she isn't crafting worlds of fiction, she teaches writing composition at a community college. Once upon a time, she was a middle school teacher, a librarian, and a bookseller, but those are stories for another time. I consider myself a full-time writer, even though I teach part-time at the local community college. I also teach online for a different institution, but writing is my real work. That being said, this is my “writing day” schedule: if I’m lucky, my classes are scheduled so that I have at least two full days a week that look like this. Welcome to my mad, mad world! 6:00 Mumble a sleepy goodbye to Hubby, roll over and go back to sleep. 9:00 (or later if I got distracted) Breakfast (usually eaten in front of the computer, with a cat crawling all over me). 10:30 Shower and get “ready”. When I first started writing full-time, I stayed in my pajamas all day, but I’ve learned that I feel mentally prepared for a day of work if I treat it like a day of work. 11:00 Draft whatever project I’m working on. I try to write in thousand word chunks. 12:00 Break for lunch. More time is wasted online, and the cat climbs over me some more. 1:00 Dig through the kitchen looking for chocolate. Give up. Sit back down at the computer. 1:30 Sigh and start drafting again. 3:00 Break for revisions. While I follow Anne Lamott’s theory of the first draft, I usually have more than one project going at a time, so this is the part of the day where I set aside the first draft and do some tweaking on a different idea.